Despite increased investment in cybersecurity, healthcare organizations still struggle to protect against advanced phishing threats and email impersonation attacks. Detection of new malware threats can also be a major challenge for small to medium sized healthcare organizations and managed service providers. To better serve the healthcare market and improve protection against sophisticated phishing attacks and zero-day malware, TitanHQ has announced it has added two new features to its SpamTitan spam filtering solution: DMARC email authentication and sandboxing. Due to the increase in email impersonation attacks, the Department of Homeland Security issued a binding operational directive in 2017 that required all executive branch agencies to fully adopt Domain-based Message Authentication, Reporting and Conformance (DMARC) to protect against email impersonation attacks and domain spoofing. DMARC authentication has now been incorporated into SpamTitan to improve detection of domain spoofing phishing attacks and prevent these phishing emails from reaching end users’ inboxes. New malware and ransomware variants are now being released at unprecedented levels. Detecting these new malware threats require more than AV solutions. To better protect users against these new email-based malware threats, TitanHQ has added a new Bitdefender-powered sandboxing feature to SpamTitan. Suspicious file attachments are now sent to the sandbox where they can be detonated and analyzed for malicious actions. Within this secure environment, files can be assessed safely to identify obfuscated malware, new malware threats, attempts to download malicious payloads, and calls to c2 servers. A broad range of file types are sent to the sandbox, including applications, executable files, and office documents. “The sandbox service analyzes files by leveraging purpose-built, advanced machine learning algorithms, decoys and anti-evasion techniques, anti-exploit, and aggressive behavior analysis,” explained TitanHQ. “All results are checked across known threats in an extensive array of online repositories, and all in just a few minutes.” If files are confirmed as malicious, they are reported to the Bitdefender’s Global Protective Network and the threat is blocked globally. The post Sandboxing and DMARC Authentication Added to SpamTitan to Improve Email Threat Detection appeared first on HIPAA Journal. Healthcare organizations have an opportunity to find out more about DNS-based web filtering in a Wednesday, December 5, 2018 webinar. The webinar, jointly hosted by Celestix Networks and TitanHQ, explores DNS-based web filtering and introduces Celestix WebFilter Cloud: A 100% cloud-based web filtering solution that protects against web-based threats and allows organizations to implement policy-based Internet controls. Celestix Networks was formed in 1999 and has delivered more than 25,000 security appliances worldwide and now serves more than 5,000 customers. As IT services have moved beyond the data center, Celestix has developed more flexible cloud-based security solutions, including a cloud-based web filter. Celestix WebFilter Cloud is powered by TitanHQ’s WebTitan technology. Since 1999, TitanHQ has been developing virtual appliances and cloud-based cybersecurity solutions to protect businesses from email and web-based threats. TitanHQ’s WebTitan technology protects more than 7,500 businesses from malware, ransomware, botnets, spyware, viruses, C2 callbacks, and phishing threats. TitanHQ’s EVP of Strategic Alliances, Rocco Donnino, and Senior Sales Engineer, Derek Higgins, will explain the technology powering Celestix WebFilter Cloud, how it protects against web-based threats, and how healthcare organizations can carefully control employee and guest Internet access. You can register for the webinar on this link. The post Webinar: DNS-Based Web Filtering for Healthcare Organizations appeared first on HIPAA Journal. Earlier this year, spam and web filtering solution provider TitanHQ partnered with Datto Networking, the leading provider of MSP-delivered IT solutions to SMBs. The new partnership has allowed Datto to enhance security on the Datto Networking Appliance with enterprise-grade web filtering technology supplied by TitanHQ. The new web filtering functionality allows users of the appliance to carefully control the web content that can be accessed by employees and guests and provides superior protection against the full range of web-based threats. TitanHQ and Datto Networking will be holding a webinar that will include an overview of the solution along with a deep dive into the new web filtering functionality. The post Webinar: TitanHQ and Datto Networking Discuss Enhanced Web Content Filtering appeared first on HIPAA Journal. TitanHQ, the leading provider of email and web security solutions for SMBs, has formed a strategic alliance with the networking giant Datto and will be providing its innovative cloud-based web filtering solution to Datto MSPs. Norwalk, CT-based Datto is primarily a data backup, disaster recovery, and business continuity service provider. The company’s mission is to provide SMBs with the highest quality enterprise-level technology to protect their businesses and networks. Datto achieves this through its managed service provider (MSP) partners, giving them access to software solutions to ensure their clients are well protected. The company was acquired by Vista Equity Partners in 2017 and merged with New York-based Autotask and now has offices in 21 locations in the United States, Canada, China, Denmark, Netherlands, Germany, Singapore, Australia, and the UK. The company employs more than 1,300 staff and is the world’s leading provider of MSP-delivered IT solutions. Galway-based TitanHQ is an award-winning company that provides innovative cloud-based security solutions for SMBs, including SpamTitan – A 100% cloud-based spam filtering solution – and WebTitan – Its cloud-based DNS web filtering solution. The increase in ransomware and phishing attacks has made web filters an important addition to MSP’s security stacks, allowing them to add an additional level of protection to prevent unauthorized individuals from accessing their healthcare clients’ networks. WebTitan provides real-time protection from malicious URLs, IPs, and phishing websites and is capable of blocking malware and ransomware downloads by preventing end users from visiting malicious websites. The strategic alliance between Datto and TitanHQ has seen WebTitan Cloud and WebTitan Cloud for Wi-Fi integrated into Datto’s networking range and made available to MSPs. At DattoCon 2018, the largest MSP event in the United States, TitanHQ will be demonstrating its web content filtering, email filtering, and email archiving solutions to MSPs. The company will be at booth #66 in the exhibition hall for the entire conference and TitanHQ CEO Ronan Kavanagh, Sales Director Conor Madden, Marketing Director Dryden Geary, and Alliance Manager Eddie Monaghan will all be in attendance. The post TitanHQ Integrates Web Security into Datto’s Networking Suite appeared first on HIPAA Journal. TitanHQ has announced its DNS-based web filtering solution, WebTitan, has now been integrated into Kaseya’s IT Complete platform. The integration allows MSPs serving the healthcare industry to offer their clients an additional layer of protection against web-based threats such as phishing, malware, and ransomware. Via Kaseya, managed service providers can access cybersecurity solutions from some of the biggest names in the industry, including Cisco, Dell, and Bitdefender. While the platform provides MSPs with a wide range of easy-to-deploy cybersecurity solutions, one notable absence was an MSP-friendly content filtering solution. A web filtering solution is a powerful tool that allows healthcare organizations to block attempts by employees to visit malicious websites, either through the clicking of hyperlinks in phishing emails, general web browsing, or redirects to malicious sites via malvertising. A web filter is an important additional tool that helps to ensure the confidentiality, integrity, and availability of protected health information by blocking phishing attacks, malware, and ransomware downloads. In the past month alone 10 email-based hacking incidents have been reported to OCR, with each incident resulting in the exposure of more than 500 healthcare records. The high volume of successful phishing attacks on healthcare employees highlights the need for advanced technological controls to prevent healthcare employees from visiting malicious websites and disclosing their account credentials. Managed service providers can now access the multi-award-winning web filtering solution through Kaseya VSA and the Kaseya IT Complete Suite and deploy network-wide DNS-based web filtering in a matter of minutes, giving their healthcare clients even greater protection against malware, ransomware and phishing attacks. The post TitanHQ’s WebTitan Now Available Through Kaseya IT Complete Suite appeared first on HIPAA Journal. TitanHQ has announced the release of a new version of its leading spam filtering solution SpamTitan. SpamTitan v7.00 includes several important updates to better protect users from malicious emails and known threats, including patches for recently discovered vulnerabilities in the ClamAV anti-virus engine. One of the notable changes in the new version is a change to the primary anti-virus engine. SpamTitan v7.00 now offers award-winning anti-malware and ransomware protection through Bitdefender. The change to the Romanian-based antivirus company is part of a growing strategic relationship with the firm that will see further collaboration over the coming weeks and months. The secondary AV engine will continue to be provided by ClamAV. TitanHQ has confirmed that support for Kaspersky AV – the primary AV engine on previous releases of SpamTitan – will stop from May 1, 2018. All new customers signing up for spam and phishing protection with SpamTitan will be protected by SpamTitan v7.00. The updated version has also been pushed out to existing customers that have prefetch of system updates enabled. The new version will appear in the list of available updates. If the prefetch option is disabled, users must manually check for available updates via their user interface. TitanHQ has also announced that support for versions 4 and 5 of SpamTitan will stop on May 1, 2018, giving users less than two months to upgrade to the new version; however, users should update to the latest version as soon as possible for the best level of protection. The latest version addresses 7 known vulnerabilities in ClamAV – CVE-2017-12374, CVE-2017-12375, CVE-2017-12376, CVE-2017-12377, CVE-2017-12378, CVE-2017-12379, and CVE-2017-12380 and also includes security updates for packages including openssl, openssh, php, and wget. ClamAV has also been updated to version 0.99.3 which resolves potential DoS attacks. Existing customers should read all release notes that apply to versions of SpamTitan later than the current installation prior to installation. TitanHQ notes that prior to upgrading to v7.00 users must first upgrade to SpamTitan v6.15. Cluster installations require the patch to be applied to all notes in the cluster. The update will take approximately 10-20 minutes to complete during which time appliances should not be rebooted. The post SpamTitan v7.00 Release Sees Bitdefender Used as Primary AV Engine appeared first on HIPAA Journal. 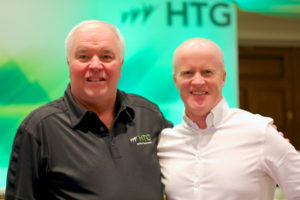 At the HTG Peer Groups Q1 quarterly meeting in Las Vegas, TitanHQ, the leading provider of cloud-based web filtering and anti-spam solutions, announced it has partnered with HTG: The international coaching, consulting, and peer group organization. The new partnership sees TitanHQ become a Gold vendor, with its cybersecurity solutions made instantly available to HTG community members. HTG was formed in 2000 with the aim of helping businesses expand and realize their full potential. HTG consultants provide insights and share wisdom with business leaders to help them create the accountability and structure necessary to make their businesses a success. Through HTG, business leaders can maximize their potential using tried and tested strategic systems. The path to profitability and success inevitably involves some setbacks and having a partner to provide support and guidance through difficult times can make a big difference. Many companies also require help to avoid common problems: problems that can cause significant, and sometimes catastrophic, losses. One area of concern voiced by many members of the HTG community is cybersecurity, in particular web security. The increase in cyberattacks and explosion of new malware and ransomware variants means businesses now need to implement additional layers in their security defenses. That is an area where TitanHQ plans to help. The company’s spam filtering and web filtering technologies have helped thousands of businesses around the globe improve security by blocking email and web-based threats. The Galway, Ireland-based firm’s web filtering solution – WebTitan – is of particular benefit. The solution secures wired and wireless networks by blocking malware and ransomware downloads, preventing employees from visiting phishing websites, and allowing companies to carefully control the types of web content their employees can access. The partnership will allow TitanHQ to listen to the concerns and problems of HTG members and offer assistance by providing cybersecurity solutions that match the needs of each business. “Our goal is to successfully engage with HTG members to build strong and long-lasting relationships,” said TitanHQ CEO, Ronan Kavanagh. We’re delighted to welcome TitanHQ on board for 2018. As soon as the initial discussion started we knew they would make a great match for our community, as web security is a key area for our members in 2018,” said Arlin Sorensen, founder of HTG Peer Groups. The post TitanHQ Partners with HTG Peer Groups appeared first on HIPAA Journal.